Stretch Scooby-Doo - one of the more unusual toys the girls have tried and tested on our Mellow Mummy journey! Lara and Holly both really got into Scooby Doo while were were on holiday and so, when we first found out about the new, Stretch Scooby, they both couldn't wait to give him a try. 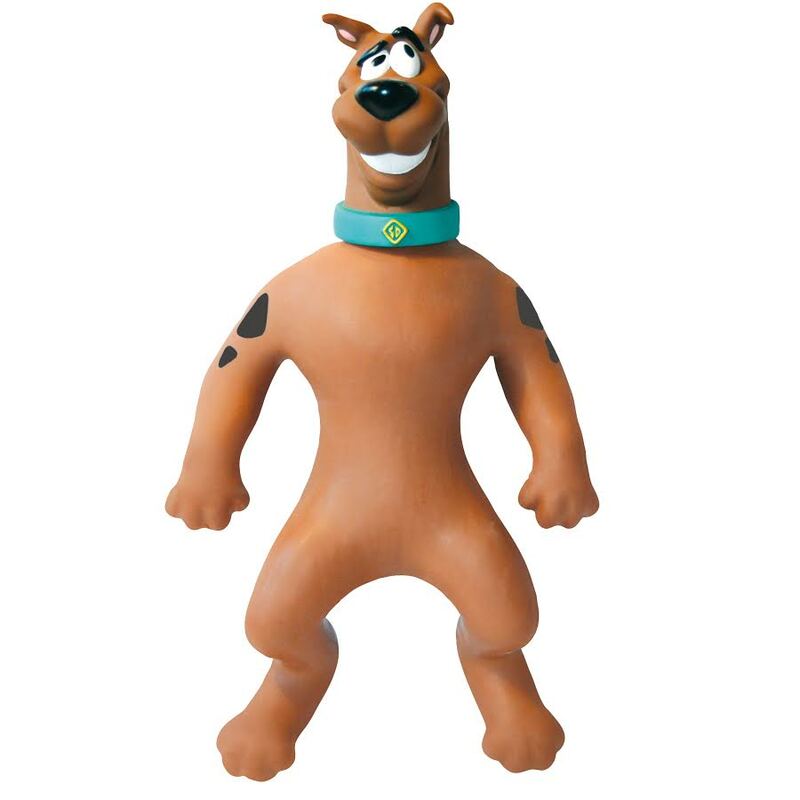 Stretch Scooby is a pretty big and chunky toy - he's a good 35cm tall even when he is in his un-stretched state but when you squeeze and pull his body, his arms and his legs he can extend to nearly 3 times his original size! He's massive! You can pull him with all your effort and yet, when you let go, he springs back to his original state. The girls think it is hilarious because when one of them lets go, the other one falls over! We loved the fact that when he isn't being stretched about, Scooby is simply Scooby-Doo and he looks pretty cool sitting on the shelf in the play room - a classic TV icon. Lara not only likes to stretch Scooby with us but she has also discovered the hilarity of trying to tie his legs and arms in knots and then rotating Scooby's head and neck! It's all rather surreal but has definitely been the source of much laughter and smiles over the past few days. Scooby's funny squishy texture (especially on his belly that feels like modelling clay) is of great fascination to Holly but at 4 years old she is not quite strong enough to really stretch Scooby without help from us, or her older sister. We think that Stretch Scooby-Doo is fun, and silly and a little bit grotesque...no doubt perfect for a spooky halloween party or a Scooby themed party with friends! 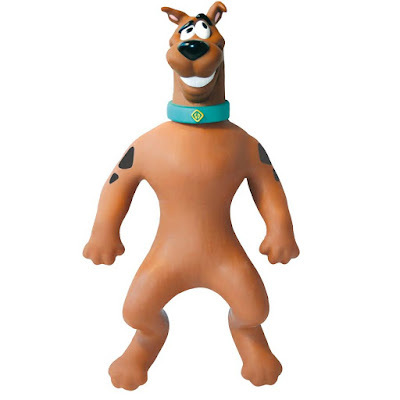 Stretch Scooby-Doo from Character Options can be found online for around £19.99.